Fort Lauderdale, FL, April 16, 2019 (GLOBE NEWSWIRE) -- via NEWMEDIAWIRE -- Veritas Farms, Inc. (OTCQB: VFRM), a vertically-integrated agribusiness focused on the production of full spectrum hemp extracts with naturally occurring cannabinoids, has entered into an exclusive formulation agreement (the “Exclusive Supply Agreement”) with Oasis Health, LLC (“Oasis Health”). Oasis Health is a Florida-based nutritional supplement formulator and physician-only supplier affiliate of Bendcare, LLC (“Bendcare”). Bendcare is a physician services, technology, and education leader providing disruptive solutions to specialty physicians committed to empowering patients dealing with chronic diseases. 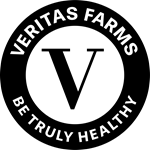 Under the Exclusive Supply Agreement, Veritas Farms has custom manufactured the exclusive formulation created by Oasis Health by unveiling their first 2 products from a line of broad spectrum whole-plant hemp. The Oasis Health hemp-based products, “Formulated by Rheumatologists, for Patients,” are THC-free and naturally grown, processed, and produced at Veritas Farms' facilities in Pueblo, Colorado, and third-party laboratory tested for purity and potency. Oasis Health brand products are currently sold exclusively through licensed physicians and American Arthritis and Rheumatology Associates (“AARA”) members in 22 states to over 20,000 patients across the country. Bendcare, LLC (www.bendcare.com) was created to empower specialty physicians to empower their patients. Bendcare is an innovative services company focused on making Healthcare Healthier. Our educational platform, both digitally and through monthly physician Summits, is redefining how physicians and their care team stay current with state-of-the-art science, best business practices, and changes in regulatory requirements. We provide specialty support care center services to alleviate the tedious and overwhelming tasks of delivering quality care. By centralizing and optimizing services like contracting, credentialing, accounting, and denials and receivables management, resources can be redeployed to enhance service and quality outcomes. Bendcare has also created a proprietary state-of the art repository of Rheumatological clinical, financial, and patient-reported outcomes data called Columbus. As the trailblazer in prospective real-world data, we have created predictive analytics and decision support visualization tools. Our Oasis product portfolio has created proprietary physician formulations designed to ensure potency, purity, and clinical effectiveness. Oasis Health, LLC (www.oasis.care) is a Bendcare owned company and supplier of premium quality, OTC products “Formulated by Rheumatologists, for Patients” to deliver a natural, preventative approach as part of their overall wellness plan. Oasis products are third-party tested at multiple levels for purity with verified sourcing and domestic manufacturing. Our portfolio of supplements, topicals, and new broad-spectrum hemp formulations help achieve patient goals under the guidance of physicians and provide the right balance needed to support optimal health and well-being. American Arthritis and Rheumatology Associates (AARA) is the largest supergroup of Rheumatologists in the United States with over 180 providers in 22 states. AARA is reshaping Rheumatology with a focus on improving the patient journey through improved access, advocacy, technology, training, and education. Since its inception in 2015, AARA gives physicians the ability to empower patients with lifelong chronic diseases. With the new infrastructure solutions powered by Bendcare, Rheumatologists can now standardize and simplify their practice, and the care team can focus on quality outcomes, improved patient satisfaction, and optimized practice performance.